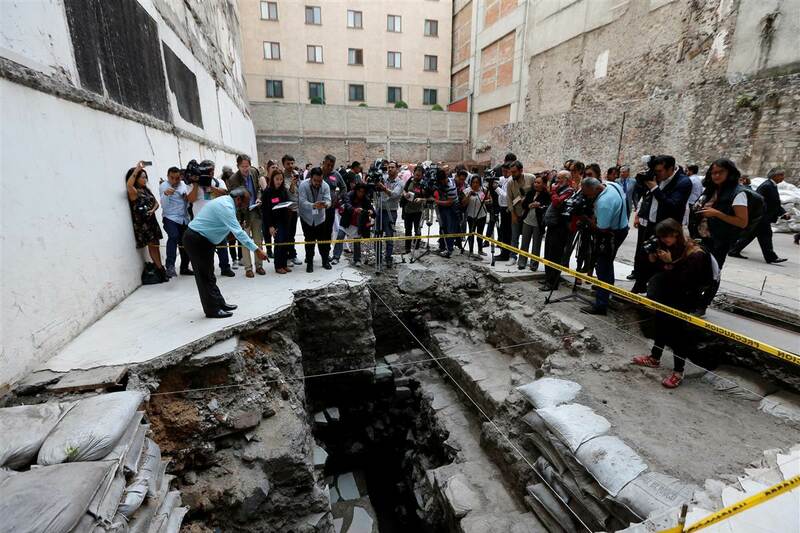 Archaeologists announced this week that the remains of an Aztec ball court and a temple erected to the god of the wind, Ehécatl, have been found on a street behind the Metropolitan Cathedral, a few steps from the Mexico City zócalo. It was seven years ago that surface work revealed a section of the ruins on the construction site of a hotel on the central Calle Guatemala. Archaeological work in the intervening years by the city’s Urban Archaeology Program (PAU) has revealed parts of the temple and the ceremonial ball game court, which will soon be part of a subterranean museum. Once open to the public, the museum will be located under the hotel, whose construction has also progressed. Since the land belongs to a private citizen, an agreement was reached with the National Institute of Anthropology and History (INAH) and past and present will coexist. While INAH has yet to announce an opening date for the museum, one of its emeritus researchers, Eduardo Matos Moctezuma, said construction of the hotel will in no way affect the ruins. Further archaeological assessment has indicated that both Aztec buildings were in use for less than 40 years, from about 1481 AD until the arrival of the Spanish conquerors in 1519. When in use, the Temple of Ehécatl was a 34-meter-long and four-meter-high structure that combined rectangular and circular architectural shapes.